Busch Gardens Tampa Updates "Bands, Brews and BBQ" Concert Artist Updates. 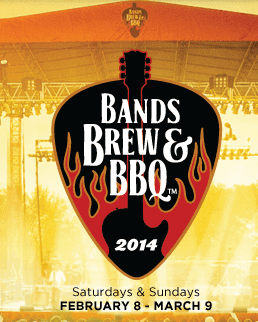 Busch Gardens Tampa has updated this weekends list of artists for "Bands, Brews and BBQ" concert series. Taking place until March 9th, 2014 the park has gotten a great line up so far of musical talent.